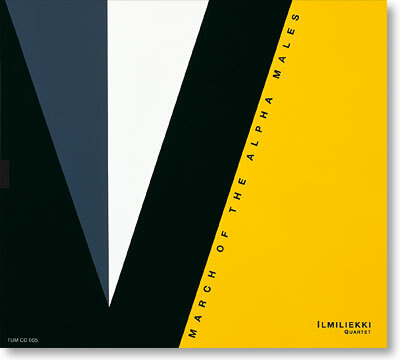 March of the Alpha Males is the first recording of the Ilmiliekki Quartet. Founded in early 2002, the group won the Young Nordic Jazz Comets competition just months later in the summer of 2002 and has since received many new accolades for its fresh approach to improvised music. Strong, beautiful melodies and boundless improvisation ready to break conventions while simultaneously embracing a broad variety of musical influences are what Ilmiliekki Quartet is all about. March of the Alpha Males includes an eclectic mix of the members´ own compositions as well as tunes by Ornette Coleman, Kenny Wheeler, Björk and Radiohead. March of the Alpha Males received the highly respected Teosto Award in 2004 and was also nominated for the Emma Award as the Best Finnish Jazz Recording of the Year in 2003.